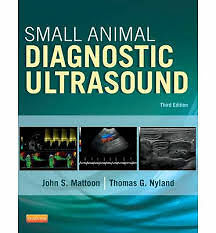 Now in full-color with over 750 vivid images located near their text descriptions,Small Animal Diagnostic Ultrasound, 3rd Edition is the must-have resource for coverage of the basic principles of ultrasonography in small animal medical care. Using a logical body-systems approach, where chapters are organized from "head to tail," this third edition offers completely revised and up-to-date information regarding the latest techniques, applications, and developments in ultrasonography - including expanded coverage of Doppler imaging principles and new gross anatomic and pathological specimen images. Also new to this edition are 100 video clips (housed on a companion website) that demonstrate normal and abnormal conditions as they appear in ultrasound scans.